One of the great aspects of owning your own home is having the beautiful property that goes along with it that you can look out on every day. When you look out your window or stand on your lawn, you get the opportunity to take in the all of the plants, shrubs and lawns space, but you can also take a look at the trees that you have on your property. Trees add a great deal to your property, but there is some special care that is often required to help with your trees. While many people may only consider calling for help when you need a tree taken down or removed, a tree service in Brentwood can provide you with much more than just tree removal. You might think that the trees on your property can basically take care of themselves and they do not really need you to do anything, but the truth is that your trees do require some basic care and maintenance. Taking care of your trees regularly will help to keep them healthy and thriving so they continue to look their best. You can have a professional service come in and perform basic tasks like trimming back branches and limbs, removing dead or damaged areas so the tree can recover, spraying them for disease prevention or treatment and other services that can help your trees thrive. You may also want to seek out the help of a tree service in Brentwood if you would like to have some new trees planted on your property. A service can come in and clear the areas you want for your new trees. They can then fertilize the area and maintain the soil so that it is primed for the trees to be planted. The service can also recommend certain trees to you that will do best on your property and then come in and plant them properly for you so they are safe and look their best. 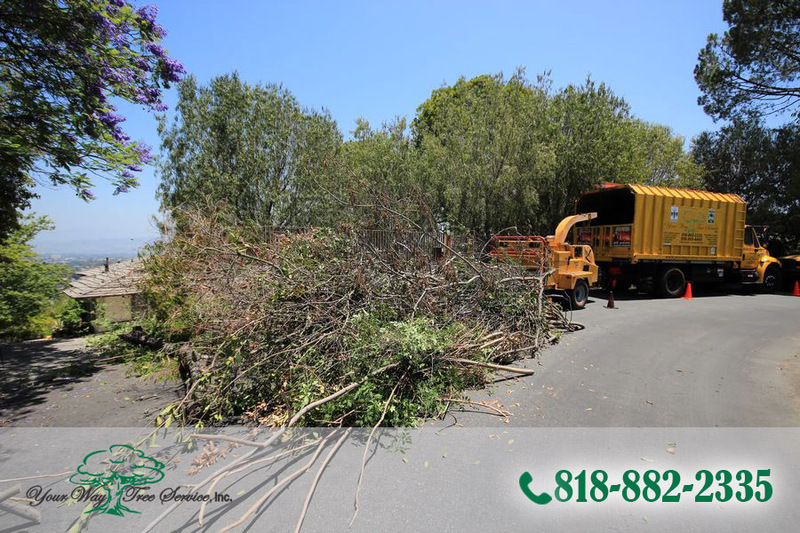 When you are ready to get the help of a tree service in Brentwood you want to make sure you call Your Way Tree Service, Inc. at 818-882-2335. Your Way Tree Service, Inc. has been serving the Brentwood area and surrounding communities for more than ten years and can assist you with a wide variety of tree services to help your home and property look its best.